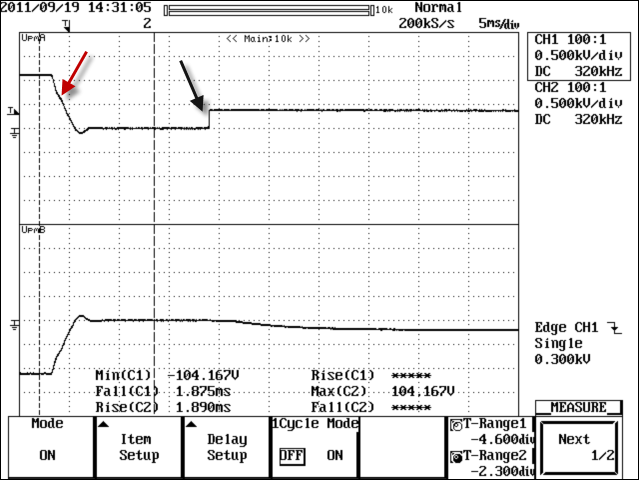 If your DL series oscilloscope is not measuring rise or fall time, it may be because you are attempting to measure asymmetric waveforms. 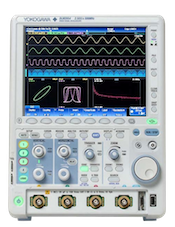 It is not possible to perform automatic rise or fall time measurements on DL series oscilloscopes when observing asymmetric waveforms. You will need to use a pair of cursors and manually set up the distal, mesial, and proximal reference levels. This issue can be further explained as follows. When observing the falling portion of a waveform, with amplitude A, the FALL time will be measured. For the same waveform, observed on the rising portion, with an amplitude B where A>B or B>A, the RISE time will not calculate properly. This is caused by the fact that the max value was established when the FALL time was measured and is not reached when observing the RISE portion of the waveform. The two observed waveforms are asymmetric and have different max values.